Summer 2020 Tryout Registration is now LIVE. Visit our Tryouts tab at the top of the page for information and to register. Matrix Lacrosse of Nyack, NY has merged with NJ Riot Lacrosse. Matrix teams will be rebranded as NJ RIOT ROCKLAND. Jeff Ramos, a seasoned Goalie Coach, HS Coach and current Head Coach of Team Puerto Rico, will serve as New Jersey Riot Rockland Director and will continue at his Nyack, NY base. Additionally, on Tuesday, February 12, 2019, Orangetown Lacrosse (“OL”) announced a new strategic partnership with Riot Lacrosse (“Riot”). This exclusive alliance positions the two organizations as the leading programs for youth lacrosse player development in Rockland County, NY. Check upcoming News Alerts for a host of new offerings in Rockland County, NY! 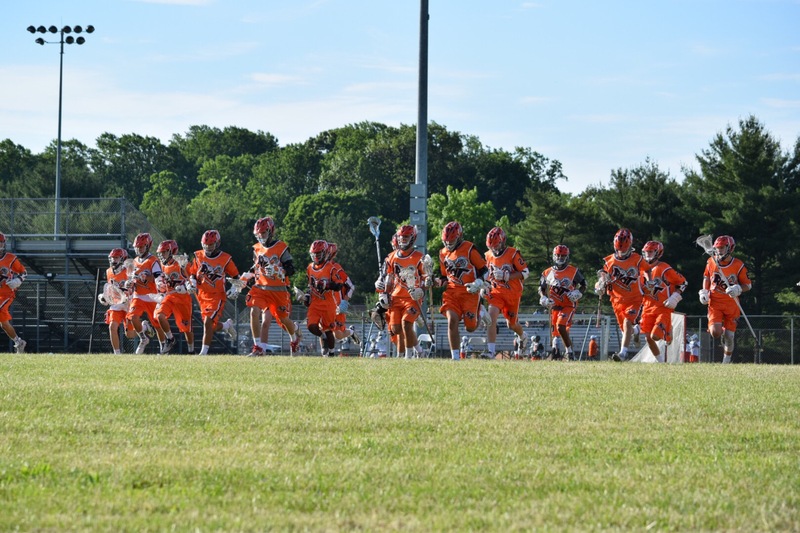 NJ Riot® Lacrosse, NJ Riot® North, NJ Riot® Rockland, and the Riot Lacrosse­® organization were founded in 2012 and currently comprise skilled rosters of High School lacrosse players and youth teams in grades 3-8. Our players hail predominantly from North and Central NJ, as well as upstate NY and Pennsylvania. The NJ Riot Lacrosse organization currently comprises teams in 2 geographical areas. Our NJ Riot teams (often referred to as NJ Riot Morris) encompasses players predominantly from Morris, Union, Essex, Passaic, Warren and Somerset counties. Our Riot Rockland teams are typically comprised of players from Rockland, Orange, Hudson and Westchester Counties in NY. Tryouts for our Summer teams typically take place in July/August and players are welcome to tryout for any NJ Riot team no matter where they reside. Our NJ Riot Morris teams typically practice at the Morris County Central Park Turf Facility in Morris Plains, NJ. Our Riot Rockland teams practice out at various high schools in Rockland County, NY and Bergen County, NJ. NJ Riot Lacrosse offers numerous clinics, developmental and training opportunities throughout the year, as well as a competitive Box Lacrosse program during the winter months. All our teams are coached by the finest coaches, receive the finest equipment and attend the highest level events. We provide high-level recruiting guidance to our High School players to assist the players and parents in navigating the college recruiting process and work tirelessly to help all our players achieve the dreams and goals of becoming a student-athlete at the collegiate level. NJ Riot®, NJ Riot® North, NJ Riot® Rockland, and Riot Lacrosse® do not provide refunds for fees paid. NJ Riot® Lacrosse was conceived by forward-thinking lacrosse parents who have lived in the trenches of the game since their boys were little. With years of experience under their belt, they were determined to create a new organization: one that encompassed all the positive aspects of prior organizations and one that eliminated the negative aspects. The NJ Riot Lacrosse goal was to change the existing club mentality and “corporate” structure of existing lacrosse organizations. Our mission today remains the same is it was upon our founding: to be a premier organization that focuses on high-level play year-round, creates a fun environment in which players consistently learn, and to foster a deep love of the game. The founders of NJ Riot Lacrosse share the same vision not only for our children, but for all the boys we have raised in the game over the years, and the young men we intend to raise in the game in the coming years. We strive to honor the game by not just competing, but teaching as well. Have questions? Check out our Frequently Asked Questions page!